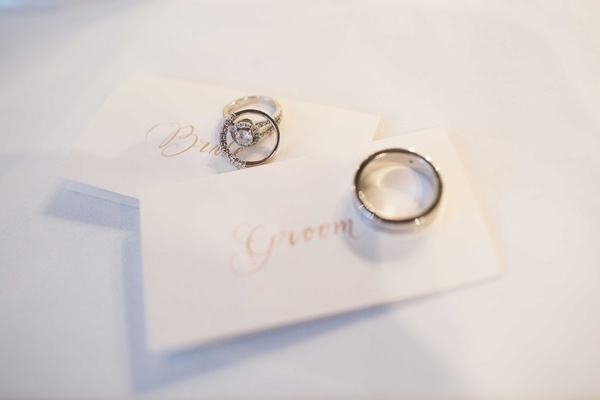 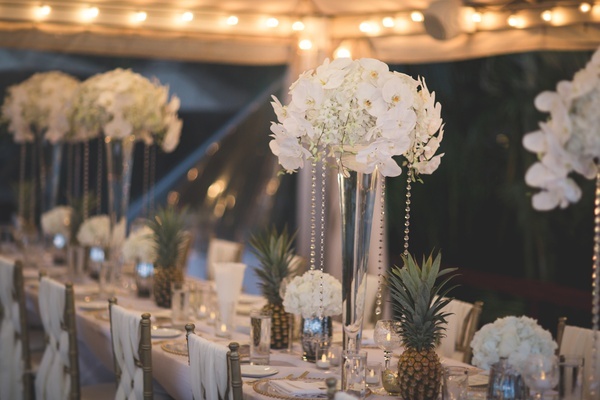 When planning an intimate destination wedding in Maui, it's important to focus on impressing your guest list with décor. 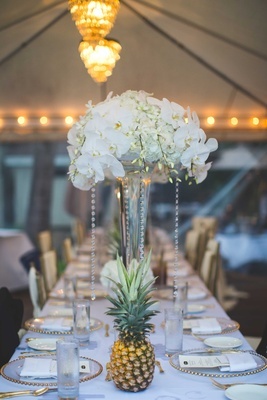 For this 18-person wedding, Unveiled Hawaii was able to design a tablescape that felt inclusive and also grand. 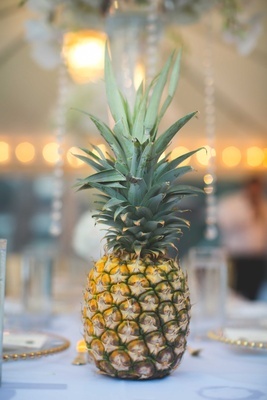 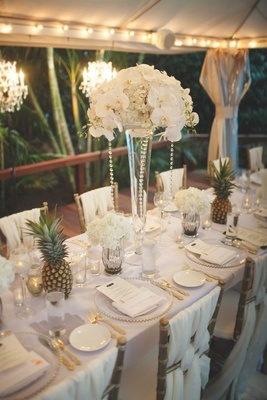 The long, elegant dining table featured a nod to the location of the nuptials, as fresh pineapples were peppered amongst the alabaster flower arrangements. 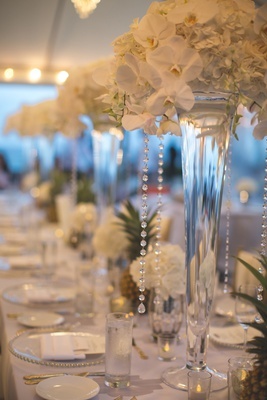 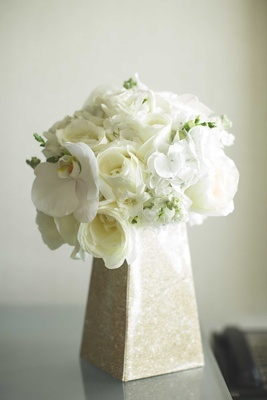 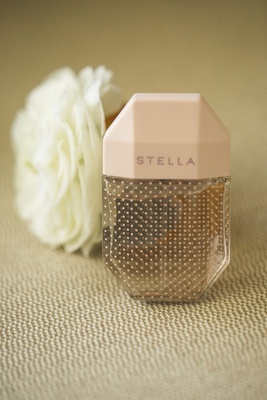 Crystals were draped from large displays of orchids and freesias, while smaller arrangements were held in mercury-glass vases. 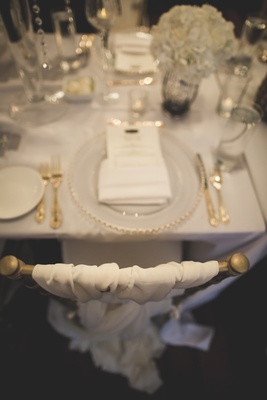 The bridal bouquet bouquet was given a place of honor in the center of the table, and the chairs were woven with flowing ivory linens. 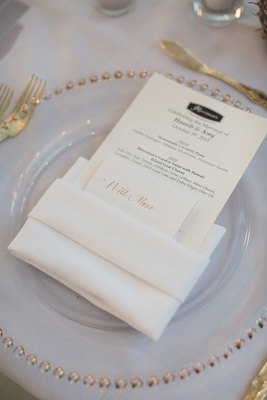 After enjoying a buffet, guests were treated to a charming three-layered cake. 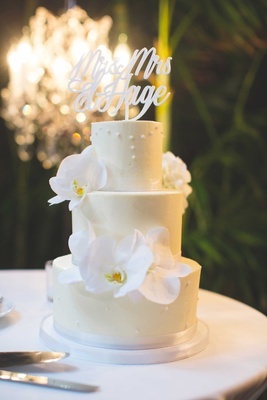 The confection included a white chocolate ganache, pearl and orchid detailing, and a topper that spelled out the couple's names. 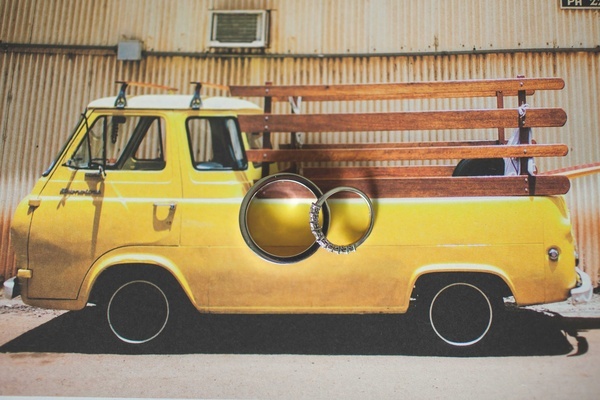 Take a peek at the inspiring photos in the slideshow above! 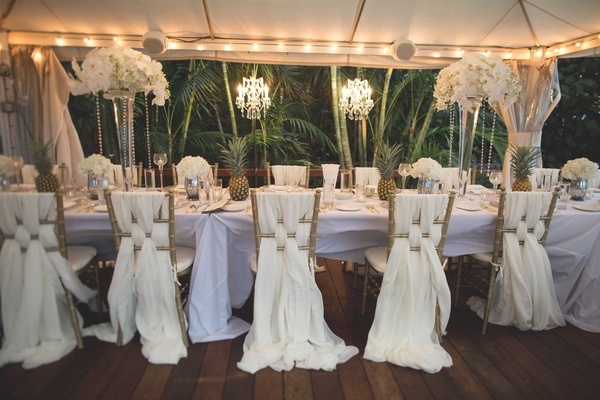 The stunning event is sure to spark ideas for your own intimate wedding or destination celebration.